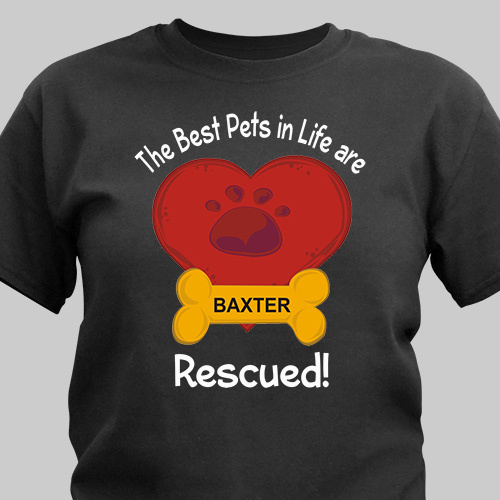 Pay tribute to your rescued pet with attractive Rescue Personalized T-Shirts dedicated to them. Personalized with their name, this Personalized Pet Rescue Shirt makes a truly unique gift idea for any new pet rescue owner. 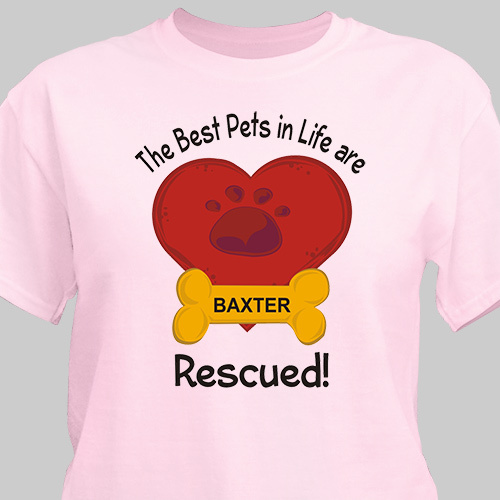 This Pet Rescue Personalized Shirt is available on our premium white, pink and ash gray 100% cotton t-shirts & our 100% cotton colored t-shirts, machine washable in adult sizes S-3XL. Free personalization of any pet(s) name is included. I love this shirt, it says the truth about dogs. Additional Details If your enjoy this loveable Animal Rescue T-Shirt, then you'll also love our Personalized Rescue Mom Mug & our Personalized Rescue Pet Printed Frame. For all your Personalized Pet Lover Gifts, shop GiftsForYouNow.com.